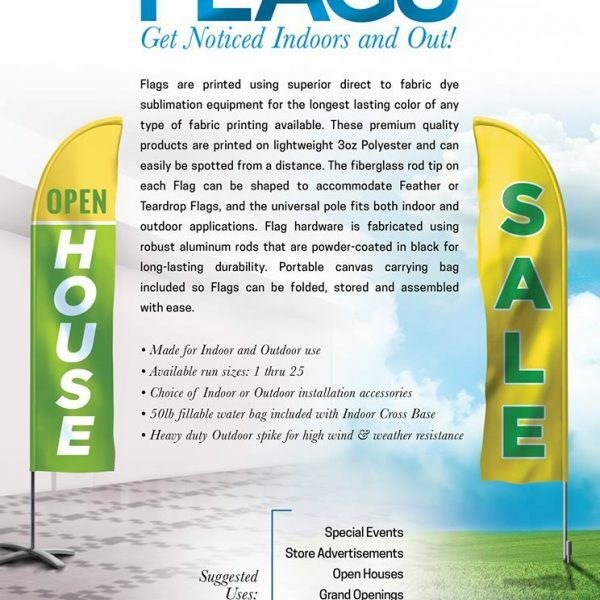 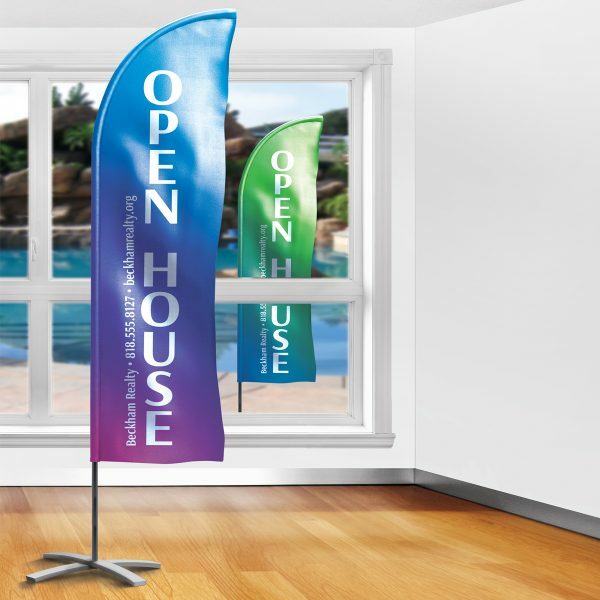 Flags are printed using superior direct to fabric dye sublimation equipment for the longest lasting color of any type of fabric printing available. 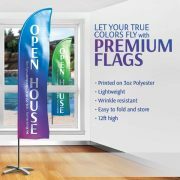 These premium quality products are printed on lightweight 3oz Polyester fits both indoor and outdoor applications. 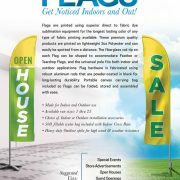 Different styles and sizes available. 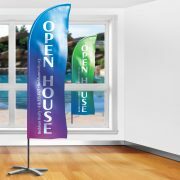 Ideal for advertising businesses, events, and trade shows.